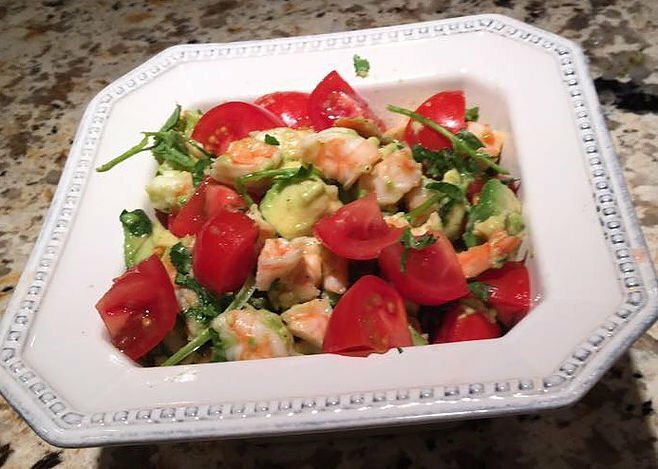 This recipe is my daughter Jenna’s favorite and one of mine. Super fast to make. Pops with flavor! Finely grate lime zest to measure 1 tbs. Juice limes to measure 1/4 cup. Place zest and juice in a large bowl. 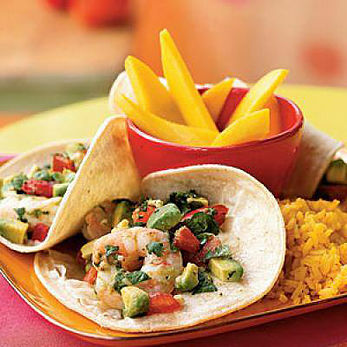 Add shrimp, tomato and remaining ingredients, except tortillas, to the bowl. Heat tortillas in a non-stick skillet or over low open flame for 1 minute flipping halfway. Spoon about 1/2 cup shrimp mixture down center of each tortilla. Fold in half.